April 13, 2019 Quarterly Meeting is now open! Dr. Jennifer Dizon is a Nursing Informatics System Specialist and Preference Card Coordinator Team Leader in the Operating Room at Duke University Health System in Durham, North Carolina. 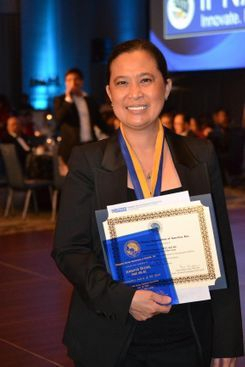 She earned her BSN degree from the University of the Assumption and her Master of Arts in Nursing from Angeles University Foundation, both in the Philippines; going on to earn her Post Master’s Certificate in Informatics Nursing and Doctor of Nursing Practice from Duke University School of Nursing. She is an active member of the PNAA locally and nationally; and as a past PNAA Secretary, she displayed her forward-thinking nature by introducing file sharing (through Dropbox) to increase efficiency. Her colleagues express that Dr. Dizon is well-versed in delivering informatics-related deliverables to promote positive patient outcomes. One of her accomplishments is being the team lead of the “Preference Card Coordinators”, a team that ensures all surgical patients have all the resources needed for their surgeries. She conducted a root cause analysis (RCA) on her facility’s operating room material management issues, quickly and ably identified causes of the problem, and formulated an informatics solution. Dr. Dizon’s analysis and findings were subsequently published in the AORN Journal. Dr. Dizon also serves as an evaluation faculty at Western Governors University. Her past academic positions include as an adjunct faculty for the accelerated BSN program at Duke University School of Nursing and as a clinical coordinator for 3rd year BSN students at Angeles University Foundation. In addition, she did a poster presentation and is a contributing author to a text book in project management in informatics nursing.